I can still remember the first time I tasted a fresh fig, picked straight from the tree in Gobustan in Azerbaijan. They don't get much fresher than that! 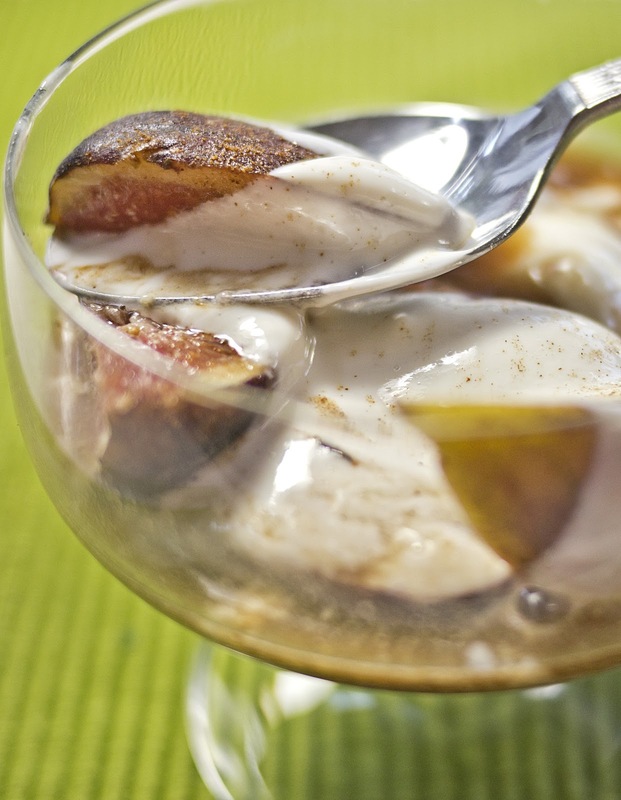 I now love both fresh and dried figs, but don't have them as often as I would like. Mix together the vanilla essence, cinnamon, thyme, sweetener and 2 tbsp water. Cut the stems off the figs and quarter them. 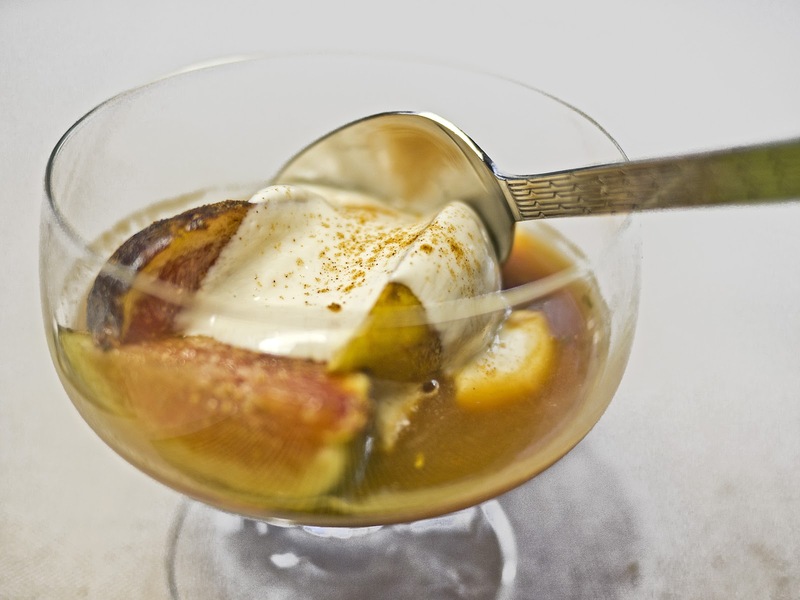 Place in a shallow oven-proof dish and pour over the liquid. 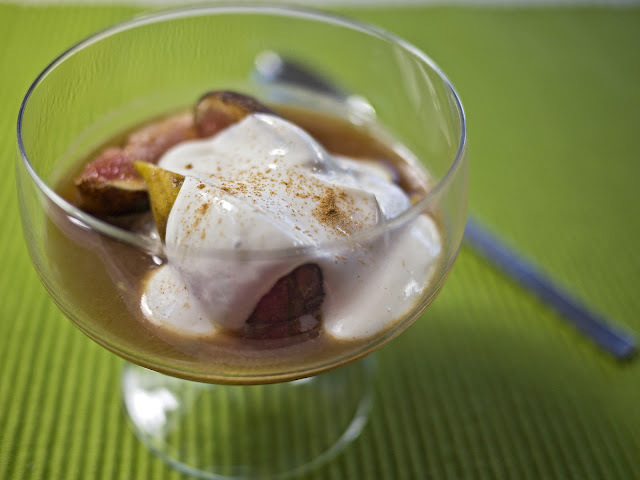 Bake at 230°C for a few minutes until the figs and soft and heated through, but still retain some shape. Mix together all the ingredients for the topping. 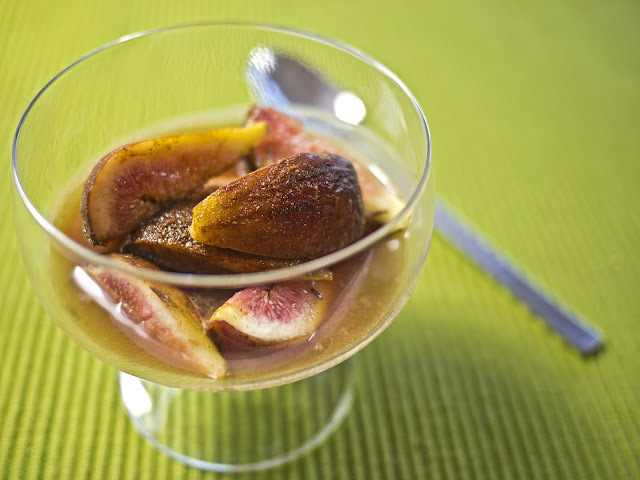 Serve the figs with the juice in glass bowls, topped with the fromage frais.